Financing home efficiency upgrades is now easier than ever. Utilities customers can complete efficiency and renewable energy upgrades using an EPIC loan, with no money down, attractive terms and simple repayment on your monthly utility bill. EPIC financing helps rental property and single-family home owners invest in energy-efficient improvements. EPIC financing helps contractors, banks and service providers support building owners with energy-efficiency. EPIC financing helps small commercial building owners invest in energy-efficiency improvements. Fort Collins Utilities is developing an EPIC “toolkit” for on-bill financing and may offer other support to cities in Colorado who wish to replicate the EPIC model in their communities. Learn more. 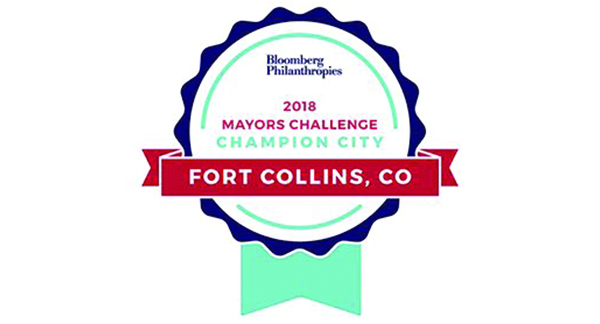 The EPIC program was selected as a winner in the Bloomberg Mayors Challenge for its innovative approach to providing health and equity benefits for low- and moderate-income renters by improving the energy efficiency of rental homes. Residential property owners can take advantage of the EPIC Program’s easy streamlined steps to make their homes more comfortable, healthy and efficient. Partnering with Colorado State University, Fort Collins will also document the health and wellbeing benefits of improved indoor air quality over time.